The author of this 600-page program for the eventual rule of ethnic Russians over the lands extending “from Dublin to Vladisvostok,” Aleksandr Gel’evich Dugin, was born in 1962, the son, grandson, and great-grandson of Russian military officers.4 According to one recent press report, Dugin’s father was a general in the GRU (Russian military intelligence).5 By all accounts, Dugin was a bright and precocious youth with a talent for learning foreign languages (he is said to have mastered no fewer than nine of them). While still a teenager, he joined a secretive group of Moscow intellectuals interested in mysticism, paganism, and fascism. Both the “masters” of this group and their disciples engaged, inter alia, in translating the works of foreign writers who shared their interests. As one of his contributions, Dugin completed a translation of a book by the Italian pagan-fascist philosopher Julius Evola. In 1987, during the second year of Gorbachev’s period of rule, at a time when he was in his mid-twenties, Dugin emerged as a leader of the notorious anti-Semitic Russian nationalist organization, Pamyat’, headed by photographer Dmitrii Vasil’ev. During late 1988 and 1989, Dugin served as a member of the Pamyat’ Central Council. In 1997, Dugin broke with the stormy Limonov and began a noteworthy political ascent. During the following year of 1998, Dugin’s career took a key step forward when he was named an advisor on geopolitics to Gennadii Seleznev, chairman (or “speaker”) of the Russian State Duma, a major player in Russian politics (for the month of June, 2001, Seleznev was ranked the tenth most influential political figure in Russia by Nezavisimaya gazeta’s panel of experts23). In the course of a March 1999 radio interview, Seleznev made public the fact that Dugin was serving as one of his advisors and “he urged that Dugin’s geopolitical doctrine be made a compulsory part of the school curriculum.”24 Two years later, at the founding congress of the new “Eurasia” movement, Dugin boasted, “I am the author of the book Foundation of Geopolitics, which has been adopted as a textbook in many [Russian] educational institutions.” During the same congress, the aforementioned General Klokotov – now a professor emeritus but one who continued to teach at the academy – noted that the theory of geopolitics had been taught as a subject at the General Staff Academy since the early 1990’s, and that in the future it would “serve as a mighty ideological foundation for preparing a new [military] command.”25 Dugin’s book is presumably being used at present as a textbook at the General Staff Academy. On April 21, 2001, Dugin achieved new heights with the founding congress of the “Pan- Russian Political Social Movement ‘Eurasia’.” The holding of this congress underscored the close relations which Dugin had formed with present and especially former members of the Russian special services. The congress took place in a hall belonging to the “Honor and Dignity” Club, an organization of veterans of the special services and law enforcement organizations. The head of the club, Vladimir Revskii, had earlier served in Vympel, a special operations unit attached to the First Chief Directorate of the KGB (and, later, the SVR). Revskii officially opened the congress and was later elected to membership in “Eurasia’s” ruling body, the Political Council. An even more noteworthy role was played at the congress by Petr Suslov, also a former Vympel member, and a retired colonel in the SVR. Suslov served as head of the committee which organized the congress and was then elected deputy leader of the new movement (with Dugin being chosen the leader).32 During the course of a July 2001 interview, Suslov confided that he was a graduate of the Ryazan’ Paratroop School who had then “served in the structures of the KGB… in a unit which conducted special operations abroad.”33 In this capacity, he said, he had served in Afghanistan, Mozambique, Angola, Nicaragua, and Vietnam. Retiring from the SVR in 1995, he had later become a consultant on issues relating to the Caucasus for Duma speaker Seleznev, which had provided him with an opportunity to meet Dugin, who was advising Seleznev on geopolitical questions. The two soon realized that they agreed on many key questions. In a similar vein, the investigative weekly, Versiya, observed in late May of 2001: “Contacts between Pavlovskii and ‘Eurasia’ actually do occur, but most likely on the level of personal consultations. Aleksandr Dugin and the head of Kremlin politico-technology enjoy good, friendly relations.” Under Vladimir Putin, the newspaper continued, Dugin had become “one of the drafters of the concept of national security.” It was noted that Dmitrii Ryurikov, a leading advisor to President Yeltsin on foreign affairs, and the then Russian ambassador to Uzbekistan, had agreed to become a member of “Eurasia’s” Central Council. Dugin’s new organization, Versiya went on, was also engaged in “the preparing of analytical reports on foreign affairs for the Presidential Administration…” As for the financial support of “Eurasia,” the newspaper wrote: “The financial support of the movement comes through regional organizations of the special services. And this support, according to our sources, is not small. Dugin’s militant views on geopolitics, as expressed in his 1997 “textbook,” will presumably strike Western readers as both crude and mad, representing but a slight improvement over, say, the ravings of Duma deputy speaker Vladimir Zhirinovskii. While Dugin’s ideas and prescriptions are indeed extreme, dangerous and repellent, it should be emphasized that they are very much in the tradition of the writings of inter-war fascists and of adherents of the European Nouvelle Droite. Historically speaking, fascist “thought” has more than once resulted in explosive expansionism. It should be noted, moreover, that Dugin does not focus primarily upon military means as a way of achieving Russian dominance over Eurasia; rather he advocates a fairly sophisticated program of subversion, destabilization, and disinformation spearheaded by the Russian special services, supported by a tough, hard-headed use of Russia’s gas, oil, and natural resource riches to pressure and bully other countries into bending to Russia’s will. While Dugin, apparently, does not in the least fear war, he would prefer to achieve his geopolitical goals without resorting to it. The Gorbachev years (1985-1991) represent, in the eyes of the author of Foundations of Geopolitics, one of the most wrenching geopolitical defeats in the millennial history of Russia- Eurasia-USSR. Beginning in 1989, it became clear that “no-one in the Soviet leadership was capable of explaining the logic of traditional [Soviet] foreign policy and, as a result, there took place the lightning-fast destruction of the gigantic Eurasian organism...” (p. 95).47 Unexpectedly, the USSR “found itself in almost the same situation as postwar Germany – its world influence reduced to nothing, its territory sharply diminished, its economy and social sphere reduced to ruins” (p. 96). The Soviet disaster of 1989-1991, like the earlier German one, resulted, Dugin contends, from a failure of the country’s leaders to heed the counsel of its geopoliticians. Hitler disregarded the advice of Karl Haushofer and other specialists when he decided to invade the Soviet Union in 1941. In similar fashion, a “certain secret department of the GRU” and other voices had long been advocating a “Eurasian” course for the USSR, but their advice went unheeded (p. 103). As Dugin sees it, the “project” which Westernizing Russian reformers attempted to implement during the Gorbachev and Yeltsin years has by now been fully discredited: “This project denies such values as the people, the nation, history, geopolitical interests, social justice, the religious factor, etc. In it, everything is constructed on the principle of maximal economic effectiveness, on the primacy of the individual, on consumerism and the ‘free market’” (p. 179). The Atlanticists (and, especially, the United States), Dugin believes, consciously plotted the downfall of the Warsaw Pact and the USSR. “The Heartland therefore is required to pay back Sea Power in the same coin” (p. 367). The goal, as Dugin sees it, is to resuscitate and reinvigorate Eurasia/Russia after the near-fatal geopolitical blows it absorbed in 1989-1991. The current Russian Federation, which appeared in 1991 from under the rubble of the USSR, is, Dugin emphasizes, not a full-fledged state but rather “a transitional formation in the broad and dynamic global geopolitical process” (p. 183). The new states which have come into existence on the space of the former Soviet Union also do not, with the sole exception of Armenia, possess any markings of authentic statehood (p. 187). Rather they represent artificial, ephemeral political constructs. The ethnic Russian people, in contrast, are seen as “the bearers of a unique civilization.”48 Russians are a messianic people, who possess “universal, pan-human significance” (p. 189). The Russian people, Dugin insists, can only serve as the core ethnos of a vast empire: “[T]he Russian people (= Russia) never made its goal the creation of a mono- ethnic, racially uniform state” (p. 190). Such a distorted view represents “the Atlanticist line masking itself as ‘Russian nationalism’” (p. 213). “A repudiation of the empire-building function,” Dugin warns sternly, “would signify the end of the Russian people as a historical reality, as a civilizational phenomenon. Such a repudiation would be tantamount to national suicide” (p. 197). Deprived of an empire, Russians will “disappear as a nation” (p. 251). The sole viable course, therefore, in Dugin’s view, is for Russians to rebound from the debacle of 1989-1991 by recreating a great “supra-national empire,” one in which ethnic Russians would occupy “a privileged position” (pp. 251-252). The result of such a rebuilding effort would be “a giant continental state in the administration of which they [Russians] will play the central role” (p. 253). This ethnic model, Dugin notes, is quite similar to that of the former Soviet Union. In order to facilitate the recreation of a vast Russia-dominated continental empire, Dugin advocates the unleashing of Russian nationalist sentiment, but of a specific type. “This [Russian] nationalism,” he writes, “should not employ state but, rather, cultural-ethnic terminology, with a special emphasis on such categories as ‘Narodnost’’ and ‘Russian Orthodoxy’” (p. 255). Religious sentiment, Dugin urges, should be placed front and center: “Russians should realize that they are Orthodox in the first place; [ethnic] Russians in the second place; and only in the third place, people” (p. 255). There is a need, Dugin goes on to insist, for the “total churchification” of Russians, for the Russian nation to come to be viewed simply as “the Church” (pp. 255-256). Such an emphasis, he believes, should – together with a persistent focus on the glorious past and bright future of the Russian nation – help serve to bring about the “demographic upsurge” so desperately needed by Russians today. Economic incentives by themselves will prove insufficient to promote such an upsurge (pp. 256-257). One “radical” slogan, Dugin concludes, must be consistently put forward: “The nation is everything; the individual is nothing” (p. 257). This slogan encapsulates one of Dugin’s most cherished beliefs. 110). Following precepts enunciated by Francis Fukuyama among others, the United States seeks to implant its own political and economic model throughout the globe (p. 127). Moreover, following the prescriptions of Paul Wolfowitz, the United States attempts to reduce Russia’s role to that of a lowly “regional power” (p. 199). In cynical fashion, the United States wants to “transform Russia into an ‘ethnic reservation’ so that it can receive full control over the world” (p. 169). How is a revived Eurasian-Russian Empire to bring about “the geopolitical defeat of the U.S.” (p. 260)? An appropriate response to the looming Atlanticist threat, Dugin contends, is for the renascent Eurasian-Russian Empire to direct all of its powers (short of igniting a hot war), as well as those of the remainder of humanity, against the Atlanticist Anaconda. “At the basis of the geopolitical construction of this [Eurasian] Empire,” Dugin writes, “there must be placed one fundamental principle – the principle of ‘a common enemy.’ A negation of Atlanticism, a repudiation of the strategic control of the United States, and the rejection of the supremacy of economic, liberal market values – this represents the common civilizational basis, the common impulse which will prepare the way for a strong political and strategic union…” (p. 216). The anti-Americanism of the Japanese, “who remember well the nuclear genocide and the disgrace of political occupation,” must be unleashed, as well as the fervent anti-Americanism of fundamentalist Muslim Iranians (pp. 234 and 241). On a global scale, Dugin declares, “the main ‘scapegoat’ will be precisely the U.S…” (p. 248). Atlanticism will be an astute use of the country’s raw material riches. “In the beginning stage [of the struggle against Atlanticism],” Dugin writes, “Russia can offer its potential partners in the East and West its resources as compensation for exacerbating their relations with the U.S….” (p. 276). In order to induce the Anaconda to release its grip on the coastline of Eurasia, it must be relentlessly attacked on its home territory, within its own hemisphere, and throughout Eurasia. “All levels of geopolitical pressure,” Dugin insists, “must be activated simultaneously…” (p.367). Within the United States itself, there is a need for the Russian special services and their allies “to provoke all forms of instability and separatism within the borders of the United States (it is possible to make use of the political forces of Afro-American racists)” (p. 248). “It is especially important,” Dugin adds, “to introduce geopolitical disorder into internal American activity, encouraging all kinds of separatism and ethnic, social and racial conflicts, actively supporting all dissident movements – extremist, racist, and sectarian groups, thus destabilizing internal political processes in the U.S. 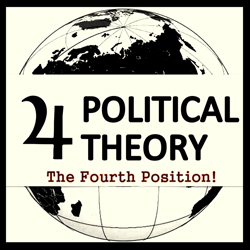 It would also make sense simultaneously to support isolationist tendencies in American politics…” (p. 367). Dugin’s Eurasian project also mandates that the United States be attacked through Central and South America. “The Eurasian project,” Dugin writes, “proposes Eurasian expansion into South and Central America with the goal of freeing them from the control of the North…” (p. 248).49 As a result of such unrelenting destabilization efforts, the United States and its close ally Britain will eventually be forced to quit the shores of Eurasia (and Africa). “The entire gigantic edifice of Atlanticism,” Dugin prophesies, “will collapse...” (p. 259). He believes that this could happen unexpectedly, as occurred with the sudden collapse of the Warsaw Pact and the USSR. Expelled from the shores of Eurasia, the United States would then be required to “limit its influence to the Americas” (p. 367). friendly Europe” (p. 369). In advocating such a path, Dugin appears to be influenced by the writings of the European New Right who, from the 1970s on, argued for “the strict neutrality of Europe and its departure from NATO” (p. 139). The basic principle underlying the Moscow- Berlin axis, Dugin writes, will be “the principle of a common enemy [that is, the United States]” (p. 216). In exchange for cooperating with Russia in this project, Germany, Dugin proposes, ought to be given back “Kaliningrad oblast’ (Eastern Prussia)” (p. 228). As a result of a Grand Alliance concluded between Russia and Germany, the two countries will divvy up into de facto spheres of dominance the territories lying between them. There is to be no “sanitary cordon.” “The task of Eurasia,” Dugin emphasizes, “consists in making sure such a [sanitary] cordon does not exist” (p. 370). Russia and Germany together, he insists, “must decide all disputed questions together and in advance...” (p. 226). The integration of swaths of Western and Central European territory into a German sphere of dominance will be directly encouraged and abetted by Eurasia-Russia. The formation of a “Franco-German bloc” is especially to be supported (p. 171). “In Germany and France,” Dugin asserts, “there is a firm anti-Atlanticist tradition...” (p. 369). Germany’s influence will also likely spread to the south – to Italy and Spain (p. 220). Only Britain, “an extraterritorial floating base of the U.S.” is to cut off and shunned (p. 221). Moving eastward, Dugin proposes that Germany be offered de facto political dominance over most Protestant and Catholic states located within Central and Eastern Europe. The “unstable” state of Finland, which “historically enters into the geopolitical space of Russia” is seen as an exception (p. 316). In this instance, Dugin proposes that Finland be combined together with the Karelian Autonomous Republic of the Russian Federation into a single ethno- territorial formation “with maximal cultural autonomy, but with strategic integration into the Eurasian bloc” (pp. 371-372). The northern regions of Finland, Dugin adds, should be excised and donated to Murmansk oblast’. On the subject of the Baltic states, Dugin proposes that Estonia be recognized as lying within Germany’s sphere. A “special status,” on the other hand, should be accorded to both Latvia and Lithuania, which suggests that they are to be allocated to the Eurasian-Russian sphere. Poland, too, is to be granted such a “special status” (p. 372). the book declares unambiguously (p. 462). In Dugin’s opinion, all of the states of the “Orthodox collectivist East” will with time seek to establish binding ties to “Moscow the Third Rome,” thus rejecting the snares of the “rational-individualistic West” (pp. 389, 393). The states of Romania, Macedonia, “Serbian Bosnia,” and even NATO-member Greece will all, in time, Dugin predicts, become constituent parts of the Eurasian-Russian Empire (pp. 346, 383). As for the former union republics of the USSR situated within Europe, they all (with the single above-noted exception of Estonia) should, in Dugin’s view, be absorbed by Eurasia- Russia. “Belorussia,” Dugin asserts flatly, “should be seen as a part of Russia…” (p. 377). In similar fashion, Moldova is seen as a part of what Dugin calls “the Russian South” (p. 343). On the key question of Ukraine, Dugin underlines: “Ukraine as a state has no geopolitical meaning. It has no particular cultural import or universal significance, no geographic uniqueness, no ethnic exclusiveness” (p. 377). “Ukraine as an independent state with certain territorial ambitions,” he warns, “represents an enormous danger for all of Eurasia and, without resolving the Ukrainian problem, it is in general senseless to speak about continental politics” (p. 348). And he adds that, “[T]he independent existence of Ukraine (especially within its present borders) can make sense only as a ‘sanitary cordon’…” (p. 379). However, as we have seen, for Dugin all such “sanitary cordons” are inadmissible. Three extreme western regions of Ukraine – Volynia, Galicia, and Trans-Carpathia – heavily populated with Uniates and other Catholics could, Dugin speculates, be permitted to form an independent “Western Ukrainian Federation.” But this area must not under any circumstances be permitted to fall under Atlanticist control (p. 382). With the exception of these three western regions, Ukraine, like Belorussia, is seen as an integral part of Eurasia-Russia. At one point in his book, Dugin confides that all arrangements made with “the Eurasian bloc of the continental West,” headed by Germany, will be merely temporary and provisional in nature. “The maximum task [of the future],” he underscores, “is the ‘Finlandization’ of all of Europe…” (p. 369). The cornerstone of Dugin’s approach to the Far East lies in the creation of a “Moscow- Tokyo Axis.” In relation to Japan, he emphasizes, “the principle of a common enemy [that is, the United States]” will prove decisive (p. 234). As in the case of Germany, Japan is to be offered an imperial Grand Bargain. Dugin recommends that the Kuriles be restored to Japan as Kaliningrad is to be restored to Germany (p. 238). For future expansion purposes, Japan is to be encouraged to impose “its own ‘new order,’ which it planned to carry out in the 1930’s, in the Pacific Ocean” (p. 277). Another important ally of Eurasia-Russia, Dugin notes, will be India, which, like Japan, will be invited to join Russia in efforts to contain and perhaps dismember China. The two Koreas and Vietnam will also be invited to participate in this effort (p. 360). Mongolia is seen as constituting “a strategic ally of Russia” and is to be directly absorbed into Eurasia-Russia. (p.363). Like the United States, the People’s Republic of China is seen as constituting an enormous danger for Eurasia-Russia. Once it rejected Mao’s healthy path of “peasant socialism,” China set about instituting economic reforms which have been achieved “at the price of a deep compromise with the West” (pp. 232-233). China, in Dugin’s perverse view, verges upon being an Atlanticist factotum. At several points in his book, Dugin gives vent to a fear that China might at some time in the future “undertake a desperate thrust to the North – into Kazakhstan and Eastern Siberia” (p. 172). In a section entitled (in English) “The Fall of China,” Dugin directly warns: “China is the most dangerous geopolitical neighbor of Russia to the South” (p. 359). China, he maintains, is a danger to Russia both “as a geopolitical base for Atlanticism and by itself, as a country with heightened demographic compactness in quest of ‘no man’s land’” (p. 360). Because of the threat to Russia’s vital geopolitical interests represented by China, Dugin holds that the PRC must be dismantled. He underlines: “Tibet-Sinkiang-Mongolia-Manchuria taken together comprise a security belt of Russia” (p. 363). Eurasia-Russia must seek at all costs to promote “the territorial disintegration, splintering and the political and administrative partition of the [Chinese] state” (p. 360). “Without Sinkiang and Tibet,” he concludes, “the potential geopolitical breakthrough of China into Kazakhstan and Siberia becomes impossible” (p. 362). As “geopolitical compensation” for the loss of its northern regions, China, Dugin recommends, should be offered development “in a southern direction – Indochina (except Vietnam), the Philippines, Indonesia, Australia” (p. 363). These areas constitute China’s appropriate sphere of dominance. The most ambitious and complex part of Dugin’s program concerns the South, where the focal point is a Moscow-Teheran axis. “The idea of a continental Russian-Islamic alliance,” he writes, “lies at the foundation of anti-Atlanticist strategy… [T]his alliance is based on the traditional character of Russian and Islamic civilization…” (p. 158). “On the whole,” he continues, “the entire Islamic zone represents a naturally friendly geopolitical reality in relation to the Eurasian Empire, since the Islamic tradition … fully understands the spiritual incompatibility of America and religion. The Atlanticists themselves see the Islamic world, on the whole, as their potential opponent” (p. 239). As the result of an especially broad Grand Alliance to be concluded with Iran, Eurasia- Russia, Dugin maintains, will enjoy the prospect of realizing a centuries-old Russian dream and finally reaching the “warm seas” of the Indian Ocean. “In relation to the South,” he writes, “the ‘geopolitical axis of history’ [Russia] has only one imperative – geopolitical expansion to the shores of the Indian Ocean” (p. 341). “Having received geopolitical access – in the first place, naval bases – on the Iranian shores,” he writes, “Eurasia will enjoy full security from the strategy of the ‘Anaconda ring’…” (p. 241). Eurasia-Russia and the Empire of Iran, he emphasizes, will have “one and the same geopolitical tendency…” (p. 242). of Turkish aggression to the north and to the east…” It is necessary, therefore, he maintains, to create “the [subsidiary] axis Moscow-Erevan-Teheran” (p. 352). “The Armenians,” Dugin underlines with approval, “are an Aryan people … [like] the Iranians and the Kurds” (p. 243). Azerbaijan represents one example of how the trio Eurasia-Russia, Iran, and Armenia might choose to divide up the spoils. “If Azerbaijan,” Dugin warns, “maintains its [present] pro- Turkish orientation, then that ‘country’ will be split up among Iran, Russia and Armenia. Almost the same holds true with regard to other regions of the Caucasus – Chechnya, Abkhaziya, Dagestan, etc.” (p. 243). “It makes sense,” Dugin writes elsewhere, “to bind Azerbaijan to Iran” (p. 352). Dugin underlines that Kazakhstan will be integrated “into a common continental bloc with Russia” (p. 354). Abkhaziya, too, will be tied “directly to Russia” (p. 351). A “united Osetiya” might also, he speculates, be incorporated into Eurasia-Russia (p. 351). And as for the remaining parts of Georgia? Dugin implies that what remains of this Orthodox Christian country after Russia absorbs Abkhaziya and South Osetiya might be turned over to Iran as booty, appropriate punishment, presumably, for its prickly independent course toward Russia in the post-communist period. A key reason for concluding a Grand Alliance with Iran, Dugin explains, is Russia’s need for a Muslim ally in its struggle against secular Turkey and “Islamic Saudi Arabia” with its dangerous Wahhabism. Turkey, it emerges, is to be treated as harshly as the United States and China. “It is important,” Dugin writes, “to take into consideration the necessity of affixing to Turkey the role of ‘scapegoat’ in this [Eurasian] project” (p. 244). Kurds, Armenians, and other Turkish minorities are to be provoked into rebellion. There is a need, Dugin stresses, to create “geopolitical shocks” within Turkey (p. 352). Like Azerbaijan, Dugin predicts, Turkey could in the future be dismembered by Eurasia-Russia, Iran and Armenia. If, however, such a dismemberment should not occur, then, like China, Turkey must be encouraged to expand exclusively southward, “into the Arab world through Baghdad, Damascus, and Riyadh…” (p.244). The army reporter offered no objections to this quite mad schema. Aleksandr Dugin’s Foundations of Geopolitics, to sum up, represents a harsh and cynical repudiation of the architecture of international relations which was laboriously erected following the carnage of the Second World War and the emergence of nuclear weapons. With Dugin and with his “system,” one has returned, it seems, to something like the combustible inter-war period and to something akin to the rise of fascism in Europe, with the lurid imperial fantasies of the Duce and the Fuhrer and other fascist demagogues. Could, one wonders, a reversion to a destructive past be the “dividend” which Russia and the West are to receive for having finally and with enormous effort put an end to the Cold War? In the period directly following the attacks upon the United States on 11 September 2001, Dugin’s political stock in Russia appeared at first to be as high as ever. Over the course of a single week in late September, he was, for example, featured twice on the pages of the military daily, Krasnaya zvezda.53 From September through December 2001, Dugin continued to benefit from broad exposure in the Russian media. He exploited this situation to launch one assault after another against what he considered to be deeply flawed policy decisions on the part of the Russian leadership vis-à-vis the American military buildup in Afghanistan and, especially, on the subject of the obtaining by the U.S. of basing rights in former Soviet Central Asia. During the first three months of 2002, Dugin virtually disappeared from the pages of the Russian press. Presidential disfavor may have been a factor behind this (temporary) change in status. In mid-January 2002, Putin, during a state visit to Poland, affirmed unambiguously: “Russia is a European country and not a Eurasian one, if one takes into account the cultural criteria proposed by [the late] Academician Dmitrii Likhachev.”59 These comments may have been directed, inter alia, at Dugin and his followers. By the spring of 2002, Dugin had managed to emerge from brief obscurity and to reclaim and perhaps increase the level of political influence that he had enjoyed before the events of 11 September 2001. On 30 May 2002, the founding congress of the “Eurasia” Political Party, headed by Dugin, was held in Moscow. At that time, the political-social movement “Eurasia” was officially transformed into a political party of the same name. A total of 204 delegates representing fifty-nine regions of the Russian Federation were in attendance. It was announced at the congress that the new party, which was said to number 10,000 members nation-wide, intended to compete for seats in the State Duma during the forthcoming December 2003 elections. It was apparently a perceived strong need to involve Dugin and his new party in the Duma election effort that induced the Russian Presidential Administration to rescue them from temporary obscurity. One reason that Dugin succeeded in reclaiming a position of influence may have been connected with the somewhat more nuanced view of the Russian leadership’s policies that the Eurasian leader began to articulate. The most detailed expression of this attempt at political fine- tuning occurred in the course of an interview that he gave to the newspaper Versiya in June of 2002.65 During this interview, Dugin expressed a recognition that Putin was required to tack politically between the positions of those who wanted a “strong hand” and “a patriotic orientation” and those who favored Western values. According to recent public opinion polls, he underlined, 71% of Russians are patriots while only 13% are enamored of Western-style liberalism. Before the upcoming Russian parliamentary and presidential elections, therefore, it seemed inevitable that “statist initiatives will receive a new impulse.” The Eurasian Party that he heads, Dugin emphasized, has a greatly superior ideology, for example, to that of the lackluster pro-Putin “Edinaya Rossiya.” Putin, Dugin concluded, stands today in strong political need of a “Eurasian flank,” and the Eurasia Party is happy to provide it. That Dugin had been intentionally fomenting violent anti-Americanism could scarcely be doubted. “I believe,” he asserted in mid-May of 2003, “that the chief enemies of Russia are the two Bushes—both Bush senior and junior—plus Bill Clinton. And also certain advisors of the Russian president…who are adherents of a pro-American course.”69 “Bush today is a new Hitler,” he trumpeted in late May.70 Despite a widespread perception that he had overreached politically, Dugin nonetheless continued to enjoy fairly extensive access to the Russian media. By late July of 2003, discussions were being held concerning precisely which three Russian politicians should head the so-called troika on the “party list” of the new bloc as it began to prepare to contest the Duma elections. Dugin appears to have entertained hopes that he might be able to capture the No. 3 slot in the troika, following Glaz’ev and, perhaps, Dmitrii Rogozin, the well-known chair of the State Duma’s Committee on International Affairs.76 On 6 August 2003, it was reported, however, that Vladislav Surkov of the Presidential Administration had confirmed soon-to-retire Colonel General Georgii Shpak, the commander of the Russian Airborne Forces, for the No. 3 spot.77 The situation remained volatile and extremely fluid, however, and there remained at least a distant chance that Dugin might be able to break into the coalition’s election troika.78 That the Kremlin would even contemplate assisting the placing of a figure such as Dugin on the troika of an electoral bloc having what some commentators saw as a realistic prospect of breaking the 5% barrier constituted grounds for concern. 1 The author would like most warmly to thank Robert Otto for his generous and extremely helpful bibliographical assistance. Thanks are also due to Glen Howard for bringing several useful bibliographical items to my attention, and to my research assistants, Joyce Cerwin and Yuliya Shmeleva, for their fine work. 2 Francoise Thom, “Eurasiansm: A New Russian Foreign Policy?” Uncaptive Minds, vol. 7, no. 2 (1994), p. 76. 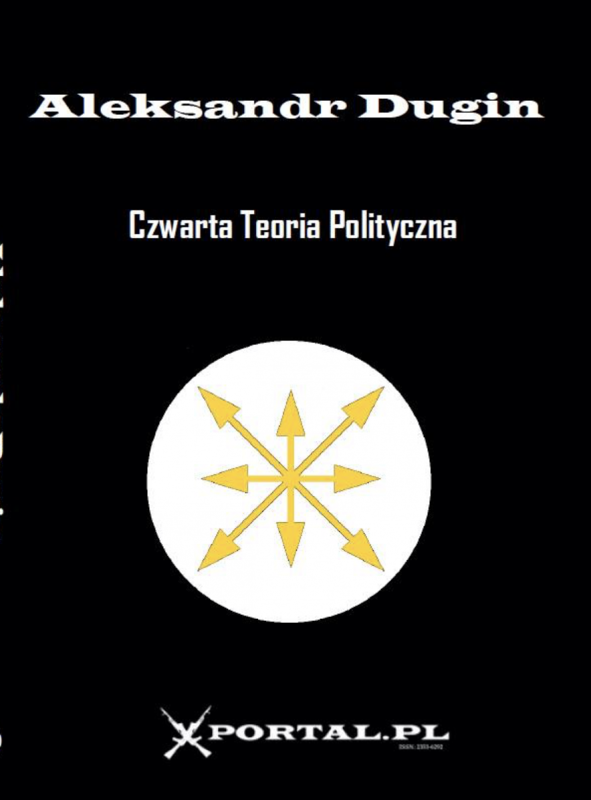 3 Aleksandr Dugin, Osnovy geopolitiki: Geopoliticheskoe budushchee Rossii (Moscow: Arktogeya, 1997), 600 pp. The book was republished without change by Dugin in 1999, together with lengthy supplemental materials – of no great significance – appended under the title “Myslit’ prostranstvom”: Aleksandr Dugin, Osnovy geopolitiki: Geopoliticheskoe budushchee Rossii; Myslit’ prostranstom (Moscow: Arktogeya, 1999), 925 pp. My references are to the 1997 edition. Shenfield, Russian Fascism: Traditions, Tendencies, Movements (Armonk, NY: M.E. Sharpe, 2001), pp. 190-220. 5 See Nikita Kaledin, “Podpol’e vykhodit naruzhu,” Stringer-news.ru, 1 April 2003. By contrast, Geidar Dzhemal’, who served as a kind of mentor for Dugin in the early-to-mid 1980’s, recently stated: “His [Dugin’s] father is a general in the KGB…” (In Konservator, egk.ru, 11 April 2003). Given Dugin’s veneratin of the GRU in his early writings, it seems more likely that his father served in the GRU. 6 Charles Clover, “Will the Russian Bear Roar Again?” Financial Times (December 12, 2000). 750-page volume: Aleksandr Dugin, Absolyutnaya rodina (Moscow: Arktogeya, 1999). (Princeton, NJ: Princeton University Press, 1995), pp. 169-177. 10 Aleksandr Verkhovskii and Vladimir Pribylovskii, Natsional-patrioticheskie organizatsii v Rossii (Moscow: Izdatel’stvo ‘Institut eksperimental’noi sotsiologii,’ 1996), p. 50. 13 See “Rossiya, Germaniya i drugie,” Elementy, no. 1, 1992, pp. 22-25. 14 Shenfield, Russian Fascism, p. 198. 16 Thom, “Eurasism…,” pp. 67-68. 17 Aleksandr Dugin, Konspiratologiya (Moscow: Arktogeya, 1993), p. 115. 18 Verkhovskii and Pribylovskii, “Natsional-patrioticheskie organizatsii…,” p. 50. 19 Wayne Allensworth, The Russian Question: Nationalism, Modernization and Post-Communist Russia (Lanham, MD: Rowman and Littlefield, 1998), p. 257. 20 Shenfield, Russian Fascism, p. 194. 23 “100 vedushchikh politkov Rossii v iyune,” Nezavisimaya gazeta, 10 July 2001. 24 Shenfield, Russian Fascism, p. 197. 27 Aleksandr Dugin, “Evraziiskaya platforma,” Zavtra (January 21, 2000). 28 Aleksandr Dugin, “Zarya v sapogakh,” Zavtra (March 31, 2000). 29 Andrei Kolesnikov, “Posle podvodnoi lodki,” Izvestiya (August 29, 2000). 30 Vladimir Putin, “Rossiya vsegda oshchushchala sebya evroaziatskoi stranoi,” Strana.ru (November 13, 2000). 31 Posted on May 23, 2001 at: http://www.arctogaia.com/public/putin/htrr. 34 Grigorii Osterman, “Esli vakhkhabizm ne sdaetsya, ego ipravlyayut,” SMI.ru (June 28, 2001). 35 Aleksandr Maksimov, Orkhan Karabaagi, “Oni v svoikh korridorakh,” Obshchaya gazeta (May 31, 2001). 38 In Strana.ru (June 4, 2001). the bitter feud between Dugin’s Eurasian organization and that of Niyazov, see Dmitrii Oreshkin, “Spor slavyan,” Moskovskie novosti (April 15, 2003), and Arkadii Veselov, “Vesennee obostrenie evraziistvom,” Nezavismaya gazeta, (May 21, 2003). Two recent articles on Niyazov’s organization are: “Novaya sila novoi Rossii,” Rossiiskaya gazeta (July 24, 2003), and “Most v novuyu Rossiyu,” Nezavisimaya gazeta (July 29, 2003). 41 See “Rossiya dolzhna uchest’ oshibki Ameriki,” Nezavisimaya gazeta (September 13, 2001). For Dugin’s take on the September 11th events, see his “Lastochki Apokalipsa,” (September 12, 2001), at http://arctogaia.com/public/lastochki.html. 43 Dmitrii Radyshevskii, “Soblazn evraziistva,” Moskovskie novosti, no. 18 (May 1-14, 2001). 45 Allensworth, The Russian Question, p. 249. 47 Here and subsequently, the page numbers given in parentheses refer to the 1997 edition of Dugin’s book. 48 All italics appearing within quotations are those of Dugin.49 In this connection, the following report is of interest. During a visit to Moscow in May of 2001, President Hugo Chavez of Venezuela “indicated that he and Putin share a vision of a world in which power must be more evenly distributed to offset the unipolar influence of the United States, and that his dream of a ‘Bolivaran Federation’ of Caribbean and Latin American nations fits into that scheme.” Chavez made it clear that he and Putin “would work together to form a strategic alliance against [the] U.S.” (Petroleumworld (May 15, 2001). European Quarterly (Fall 1998), pp. 323 and 329. 53 See Krasnaya zvezda (September 22 and 26, 2001). 54 In Krasnaya zvezda (September 22, 2001). 55 In www.navigator.kz (23 October 2001). 56 From Dugin’s press conference held at the “Mir novostei” press center in Moscow on 5 October 2001; for the text of Dugin’s comments see: http://arctogaia.com/public/mirnov1.shtml . 57 In www.navigator.kz (October 23, 2001). 58 The polling results were posted by Dugin at www.arctogaia.com on November 26, 2001. 59 In Strana.ru (January 17, 2002). 61 See Eurasia.ru.com (May 31, 2002). 62 APN.ru (July 16, 2002). 63 Zvezda.ru (August 29, 2002). 64 Gazeta.ru (July 26, 2002). 65 “Zadacha Putina sozdat’ v Rossii stabil’nyi politicheskii rezhim,” Versiya (3 June 3, 2002). 66 For a sample, see Argumenty i fakty (April 2, 2003); Versiya, (April 7, 2003); Konservator, (April 11, 2003); Komsomol’skaya Pravda, (April 16, 2003); Izvestiya (April 24, 2003).67 “Rossiya snova sobiraetsya lyubit’ Ameriku do drozhi v kolenyakh!” Stringer-news.ru (April 11, 2003). 68 In www.religio.ru (April 16, 2003). 69 “Kto glavnyi vrag Rossii?” Komsomol’skaya Pravda (May 15, 2003), round-table discussion. 70 Carried by IMA-press in Moscow, (May 25, 2003). 71 On this, see Kreml.org, (July 24, 2003), and glazev.ru (August 4, 2003).72 See “Partiya ‘Evraziya’ voidet v blok Glaz’eva,” Press-center@evrazia.org, (July 24, 2003). 73 In avtr.ru, (August 5, 2003). 74 Aleksandr Anokhin, “KPRF-2 budet osnovana na religii I levykh ideyakh,” Versiya (April 28, 2003). 75 “Glaz’ev postavil Zyuganovu ul’timatum,” Gazeta.ru (August 11, 2003). 76 Ol’ga Tropkina, “Glaz’ev snizoshel do Dugina,” Nezavisimaya gazeta, (July 28, 2003). 77 In newizv.ru (August 6, 2003).